We are interested in buying your car. We offer a free, safe, discrete and professional service, and most of all we offer competitive prices for your vehicle. If you use us, you can guarantee no pressure, no advertising costs and a fast sale. Normally selling your car can be time-consuming and frustrating. Our initial offer will be based upon your description of the vehicle’s condition, mileage, the service history and the current market rate. In some cases, we are able to improve upon our initial offer on a more detailed inspection of the vehicle at our secure premises. Our Buying Team will be interested in any type of vehicle. 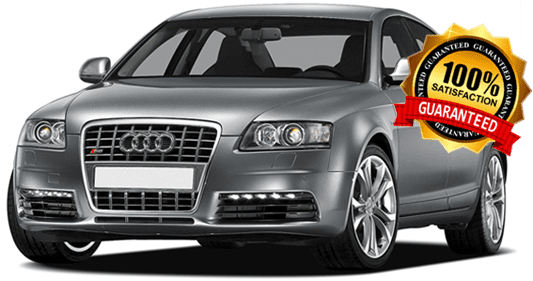 We also are happy to buy vehicles with finance and settle any outstanding amounts direct with your finance company. We have links to a large buying team of firm dealers, underwriters and motor trade professionals. We even underwrite for major and local car dealerships. Ideally, we welcome customers to come to our premises just outside Chelmsford so we can carry out a full appraisal on your vehicle, and in most cases pay you far more after full inspection. However, If you can’t make it to us then we can come to you. What’s more, we don’t charge for inspecting your vehicle. There is no need for you to go anywhere else or waste time and money to advertise. One call to us and we can give you a fair, honest and realistic valuation. Each vehicle is assessed on its own merit by our professional team personally and not done by an unrealistic system generated quotation. Remember you are not obliged to sell your car to us even after a valuation. We can secure funds into your bank account within minutes on the same day – depending on individual circumstances, or can pay you cash instantly. You can trust in SecureCarBuyer.com there are no hidden costs or conditions or agendas. Only when you are happy, we will arrange to take your vehicle. Please call us now or email your details for a hassle free sale of your unwanted vehicle. We promise you will be glad you used us for a quick no-hassle transaction. Are you dealing with a legitimate registered UK company; not somebody who has just created a web page? Can you go to their business premises? Do they have a landline office number? Will they secure funds into your bank or are they a cash only outfit? Stunning New Arrivals - A Ford Ranger 2017 & Vauxhall Vivaro 2017 crew cab With Lovely Low Miles. Instant Bank Transfers and We Can Buy Plus VAT Trucks & Vans!! Sell Your Van Or Truck 7 Days A Week! Just Some Of The Lovely Arrivals - Sell Your Car To Your Local Friendly Car Buying Company. You Can Come To Us Or We Can Come To You! Secure Car Buyer shared a post. Rare Car Ford Kuga 2017 Vignale Auto!! We Pay More For Top Spec Fords!! Late Fords urgently Wanted Like This One! Secure Car Buyer Will Pay More For Low Mileage Fords! !